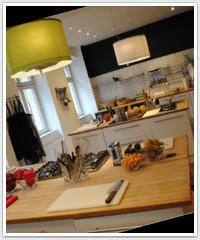 One of nicest and modern cooking schools in berlin. Close to the "Schloss Bellevue"
Visiting Berlin? 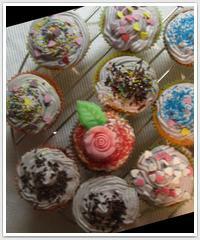 Would you like to bake & decorate delicious cupcakes in the heart of Berlin? Our class location lies in the heart of Berlin. We are near the beautiful Spree River, the Brandenburg Gate & the famous Berlin Zoo! Come to our cupcake class and treat yourself to an authentic Berlin experience. Let´s Talk Cupcakes teaches children & adults how to make the perfect cupcake! Cupcake classes are available for our Berlin natives & for our Berlin tourists. We can even offer cupcake classes with a focus on learning and practicing English (please let us know). For tourists, we offer cupcake making classes that focus on some German phrases and the German culture, as well as creating delicious cupcakes "Berlin Style". Make your time in Berlin extra sweet. All kids get a cupcake face painting. All adults get a glass of champagne. Other complimentary beverages: coffee, juice, water... See our cupcake class choices on cook-o. La Kitch'n (AKA 43°C ) is a unique space in the Berlin landscape. Inspired by the bohemian vibe of Mitte, we created a fluid and multidisciplinary space, dedicated to sensual, intellectual and spiritual delights. 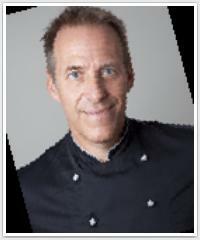 An art gallery by day, La Kitch'n morphs at will to create fabulous culinary events, Game Theory gastronomy, flamboyant team training, and edifying concept dining. Spice up your visit with a “Tastes of Berlin” Multikulti cooking course, learn to make German sausages (Wurst) from scratch, or treat yourselves to an interactive dinner dedicated to cultural icons such as Marlene Dietrich, The Grimm Brothers, Bertolt Brecht and Rosa Luxemburg.